Charmuri is a Mangaloren version of ‘Bhel’, where no mint or tamarind paste is used. This is most popular street food in Mangalore, you can find vendors selling it in beach sides, carnivals and in fun fairs. 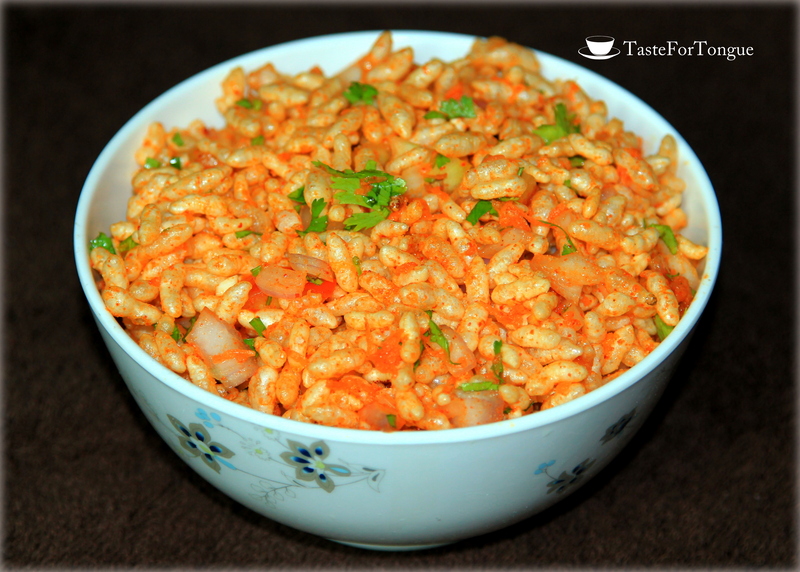 Charmuri or khara mandakki (khara = spiced, mandakki= puffed rice) is one spicy mouth watering evening snack I love to eat. Charmuri with sugarcane juice is the best combination ever. Its unbelievably tasty and incredibly easy to prepare. Note: Make sure that you don’t keep it aside after mixing the puffed rice with vegetable because the water from the tomatoes will take away the crispiness. You can add roasted peanuts for extra taste. 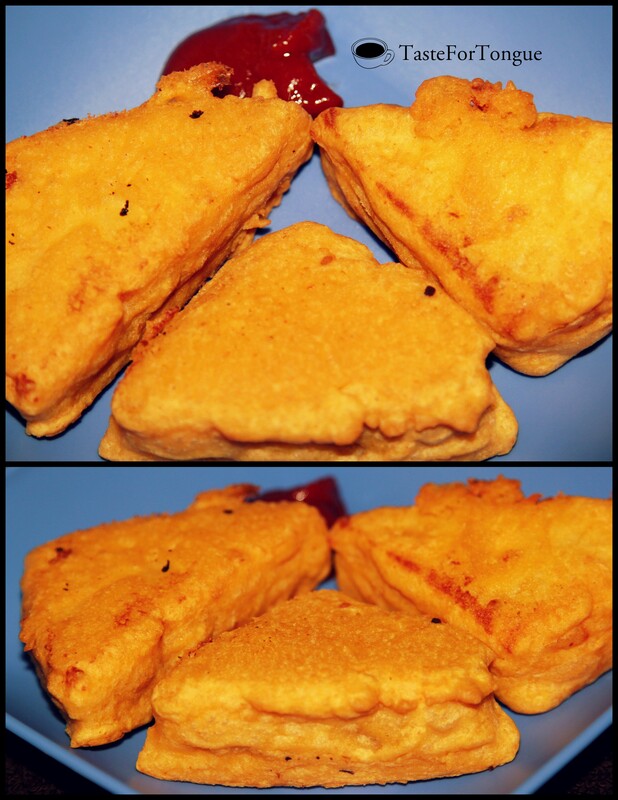 Goli baje or Mangalore bajji is a deep fried snack, that is very popular in Mangalore and South Canara region. If you are a Mangalorean or had been to Mangalore, then I am sure that you are very much familiar with this. I think goli baje name came from its shape. ”Goli” means round and ”baje” means deep fried. This is another delicious snack I adore from my birth place. I can eat a bucketful if I am given the opportunity. 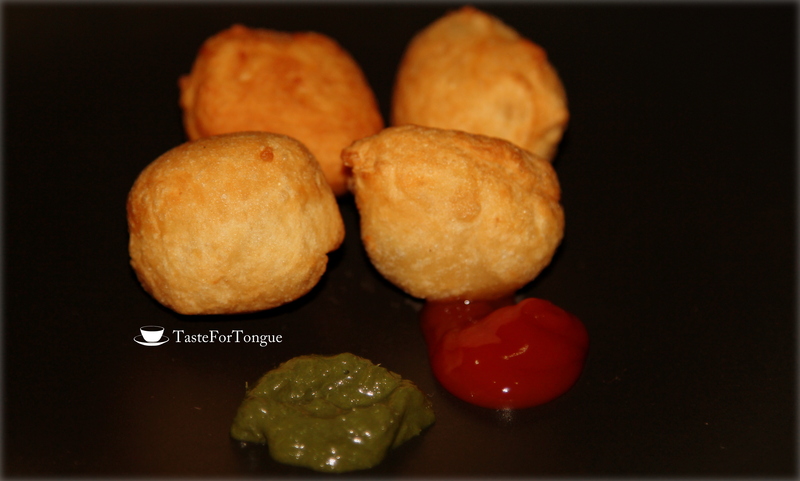 Here is the recipe, do try and enjoy the yummy fried dumplings. Spiced or tampered sweet potatoes are my husband’s favorite. Stir fry and garlic flavored curry are very popular sweet potato dishes. But I wanted to do something similar to Upma so just boiled and tampered to give it Indian flavor. Boil sweet potatoes and peel the skin once it is cooled. Take a deep pan and add a spoon of oil, mustard, curry leaves, green chillies and let it splutter then add chopped onions and fry it golden brown. Then add a pinch of asafoetida and add mashed sweet potatoes and salt mix well. 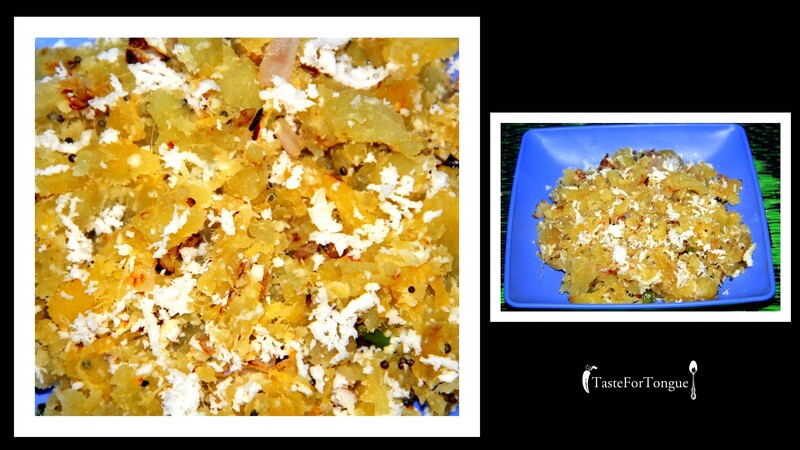 Add grated coconut and sweet potatoes are ready to be served. You can add little water and make it gravy and have it with chapathis. This is one popular evening snack for rainy season.